Welcome to my totally new, revamped site! I’m so excited to finally be doing a new post here! I’m still tweaking a few things in the design and still going through some formatting issues in old posts so if you see something weird, just bear with me! And of course if you’re clicking on any links that are broken, please let me know it’ll be such a huge help! 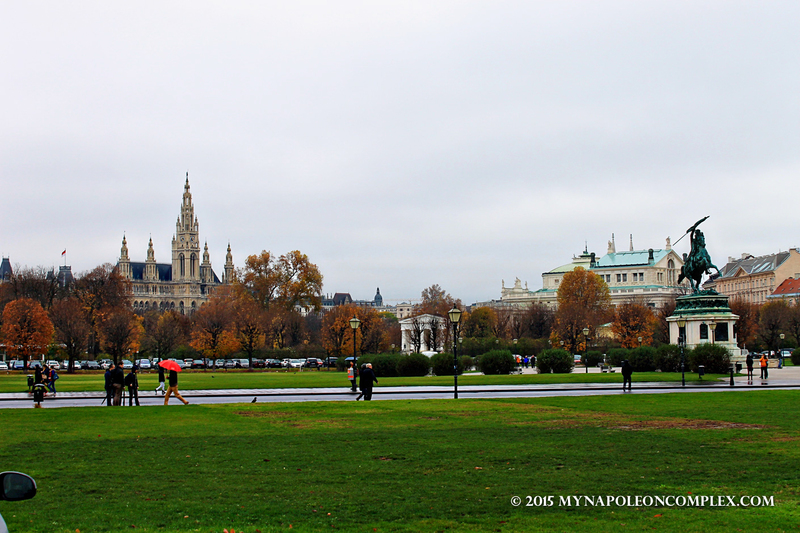 We’re still editing pictures from the last week of 2014, so today I’m going to write about our weekend in Vienna back in November. I cannot stop gushing about Vienna. In fact, I originally planned to include all the sights in this post but I just had way too many pictures to share to only pick a few. 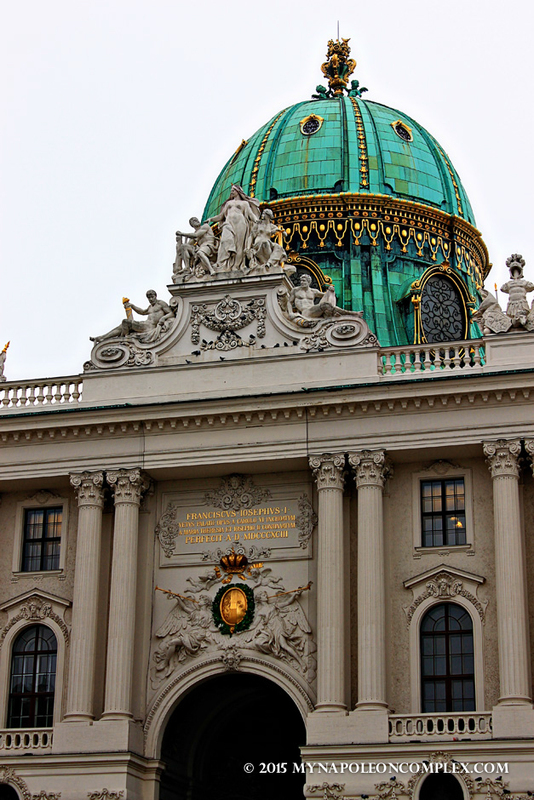 Instead, I’ll break it up in a few posts, starting with this one on the royal sights of our weekend in Vienna. It was such an elegant city and our timing couldn’t be more perfect. It was cold but not enough to make it difficult to walk around and we went the very first weekend of the famous Vienna Christmas markets (which will get its very own post because duh!) It was also super fun because we went with some Italian friends. I’m not going to lie, I was a little worried because sometimes traveling in a group for a short time can result in a lot of unproductiveness but this couple just clicked with us. So much so, that we’re already planning our next weekend getaway with them in April (where we’re going is a surprise!). We arrived in Vienna on a Friday night. First thing that immediately took us by surprise: the train that would take us from the airport to the city center was earlier than its scheduled time. What?!? Definitely not in Italy anymore! That night we walked around to get a feel for the city and had dinner. Unfortunately, we didn’t think ahead to make a reservation at a restaurant, so we had a little bit of a hard time finding a restaurant off our list that had space available. We ended up at a random bar instead but still got what we were looking for: that famous wiener schnitzel, or my favorite food ever! 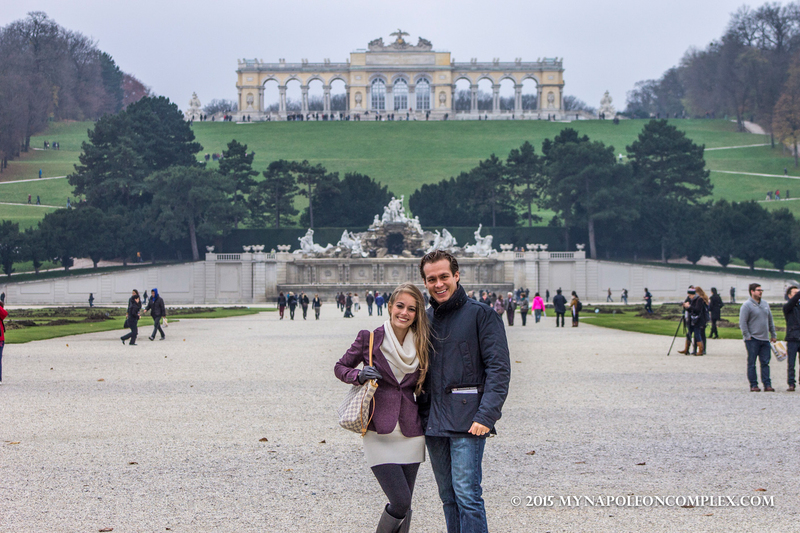 The next day, our first full day in Vienna, we got up early and went straight to Schönbrunn Palace (Schloss Schönbrunn). Our reasoning was that out of the list of things we wanted to see, Schönbrunn is the furthest one way. You can still arrive by metro, though. 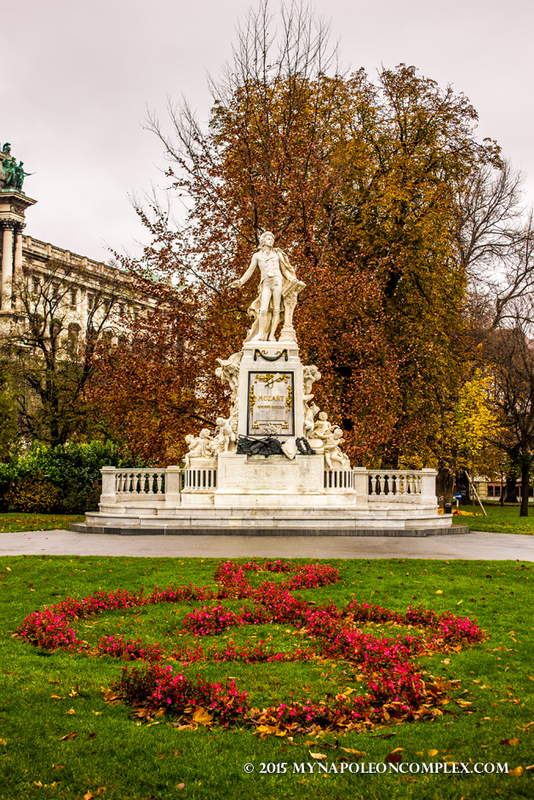 If you’ve done any research at all about things to do in Vienna, you know that there is more than one palace in the city: the most famous being Hofburg, right in the center, and Schönbrunn a little further away. Some people recommend picking one of the two if you’re only there for a weekend but I disagree. If you’re like me, obsessed with royal palaces (I mean, seriously, it’s not like there are many in the States), you can get the Sisi Ticket, which allows you to visit both castles for a few bucks less than the individual admission price. I will say though, that Schönbrunn as a whole was much more impressive. 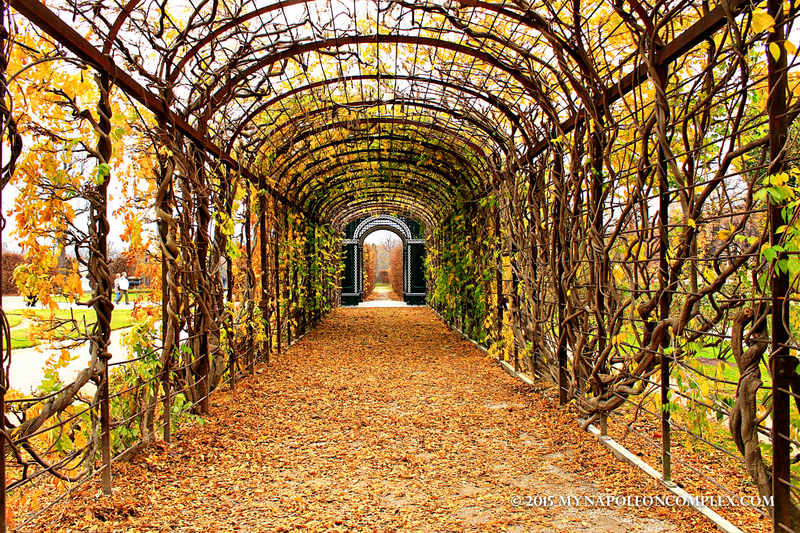 The Sisi Ticket gives you access to all 40 rooms on exhibit at Schönbrunn. There are about a million different options for buying tickets, so you should definitely do your research ahead of time and not wait till you are there to make your decision. This way you don’t feel pressured and you can pick the package and price range right for you. 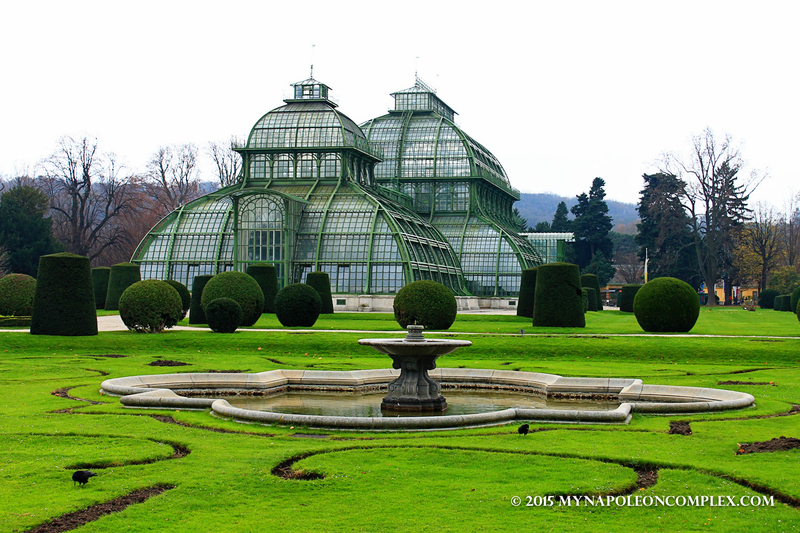 If you’re only planning to visit Schönbrunn, there are two options: a tour of 20 rooms or a tour of 40. Because we had the Sisi Ticket, we got access to the second set of 20 rooms, which focus more on the Empress Elisabeth and her husband. You cannot take pictures inside the palace, so we only have pictures from the gardens, but we really enjoyed the tour. Your ticket includes an audio guide, but if you hate walking around with headphones on (I definitely do), they also have the information in a pamphlet so you can read it instead. Jaime & I with the Neptune Fountain and the Gloriette in the Background. One of the best things about traveling is that, if you do it right, you learn a lot about a place’s history that you may not have known before. I, for one, never paid much attention to Austrian history, but that weekend I learned a lot about the Empress Elisabeth (the Austrian’s are slightly obsessed with her), but also about the Hapsburg empire, and other members of the royal family like Maria Theresa, who gave birth to 16 children, including Maria Antonia, better known as Marie Antoinette. Schönbrunn is the former summer residence of the Hapsburgs. It was built and remodeled in the 1740s by Maria Theresa to look much like it does today. The palace became property of the Austrian Republic in 1918 after the fall of the Hapsburg monarchy and since then it’s hosted important world events such as the meeting between JFK and Nikita Khrushchev. Finally, in 1996 it was included in the UNESCO site list. 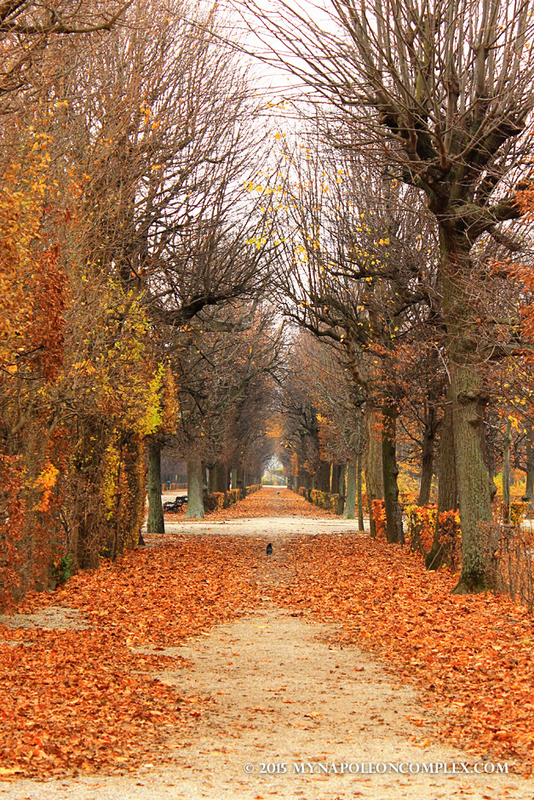 Autumn can still be very attractive. 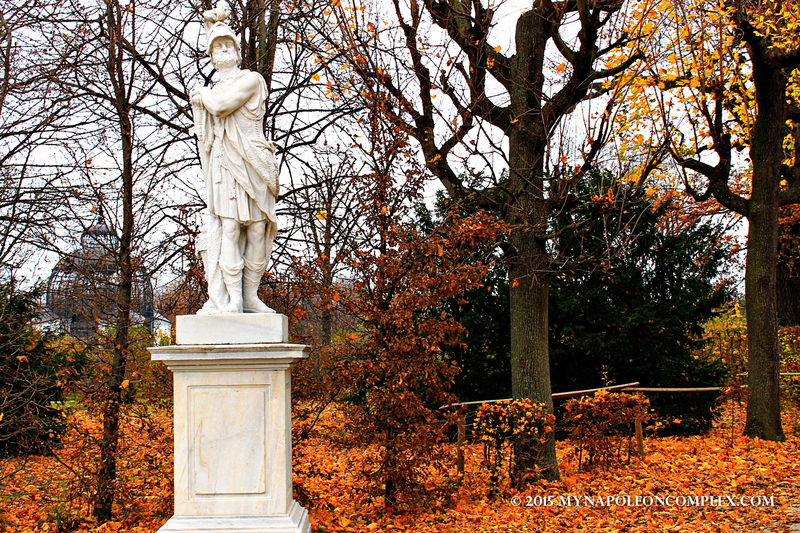 The gardens of Schönbrunn are also very impressive with many of the staples of European Palace gardens. It has a maze (although with no leaves we couldn’t really appreciate it), an orangerie, and a palm house. Of course there are also many fountains and a Gloriette, built with recycled stone from another castle. Because it was already late autumn, most of the trees were without leaves and the gardens were bare of any flowers, but it’s not difficult to imagine how beautiful it must be in the spring. 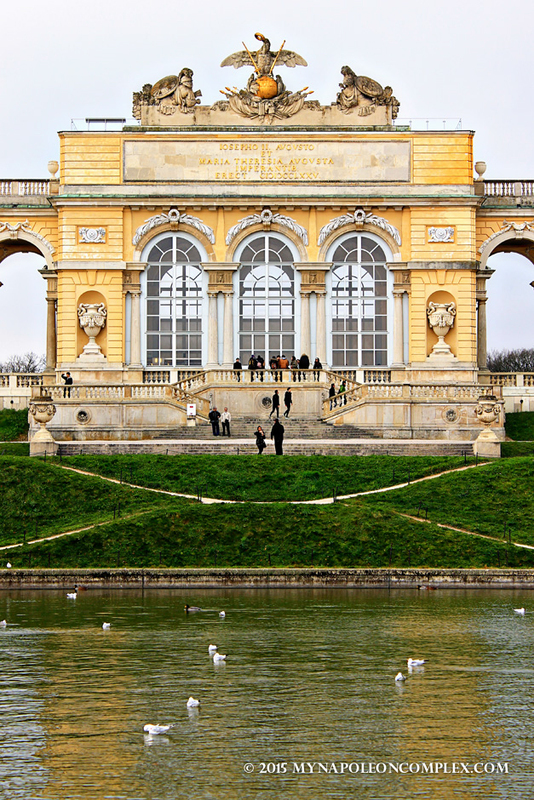 The Gloriette with its pool. The other major palace in Vienna is Hofburg. 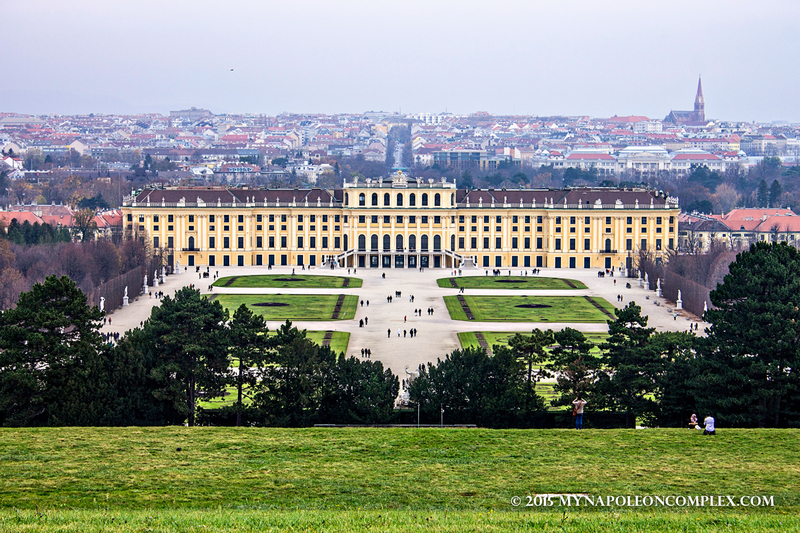 Here’s the thing about Hofburg: although Schönbrunn had a more traditional palace aspect, there are about a billion things to see in what is considered to be the “Hofburg Complex”. With the Sisi Ticket, we got to see the Imperial Silver Collection inside Hofburg, as well as the Imperial Apartments and the Sisi Museum. The Imperial Silver Collection was massive, ornate, and everything you can expect from a collection of plates and dinnerware that were used by royalty. Some of it is still used today by the Austrian government for state dinners. The Imperial Apartments were very much the same as the ones in Schönbrunn, which can come as no surprise seeing as the same people lived in both places. Finally, the Sisi Museum details the life of Empress Elisabeth from childhood to her untimely death by stabbing in Genoa. 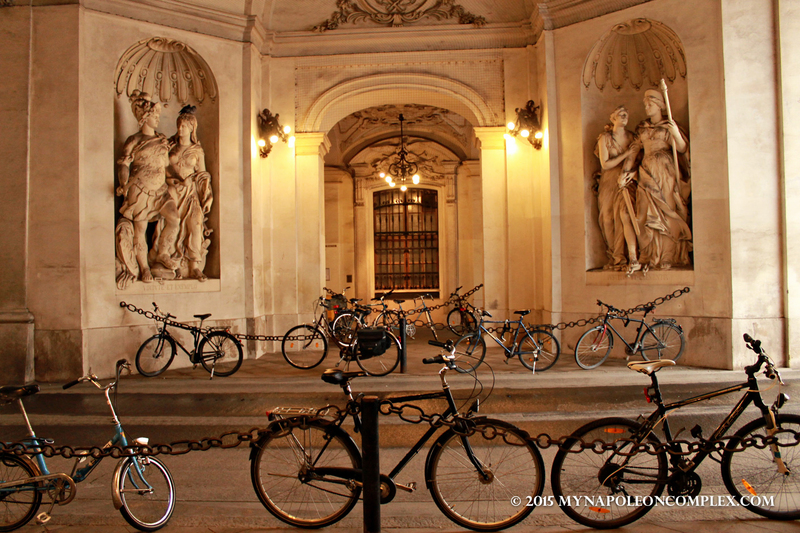 The things we didn’t see in Hofburg are many because of time constraints. We didn’t see the Spanish Riding School or the Imperial Treasury with all the crown jewels. The complex also includes two major museums, the Natural History Museum (Naturhistorisches Museum) and the Museum of Art History (Kunsthistorisches Museum), as well as the Austrian National Library and the Burggarten. 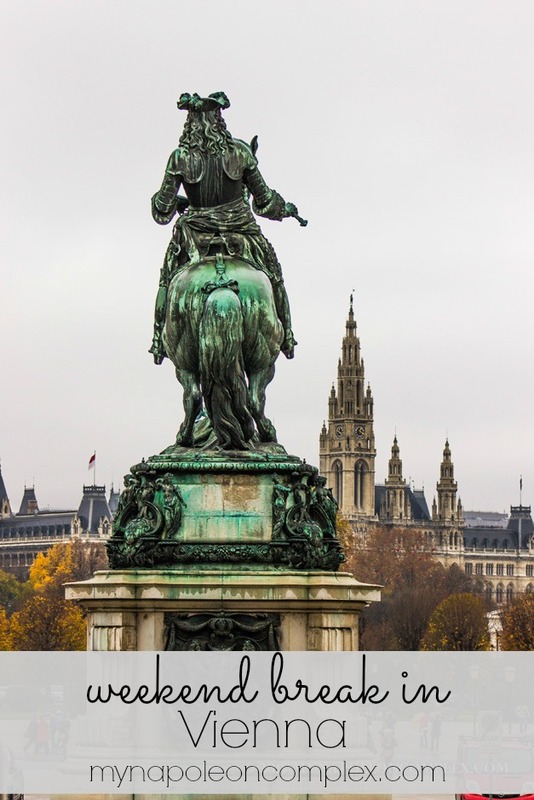 Seriously, as soon as I saw a picture of this statue in the Vienna guide, I knew I had to go see it. How cute is this? All in all, I’m very glad we got to see at least some of the things both palaces had to offer. After all, there are worse things in life than having a weekend saturated with royal palaces! 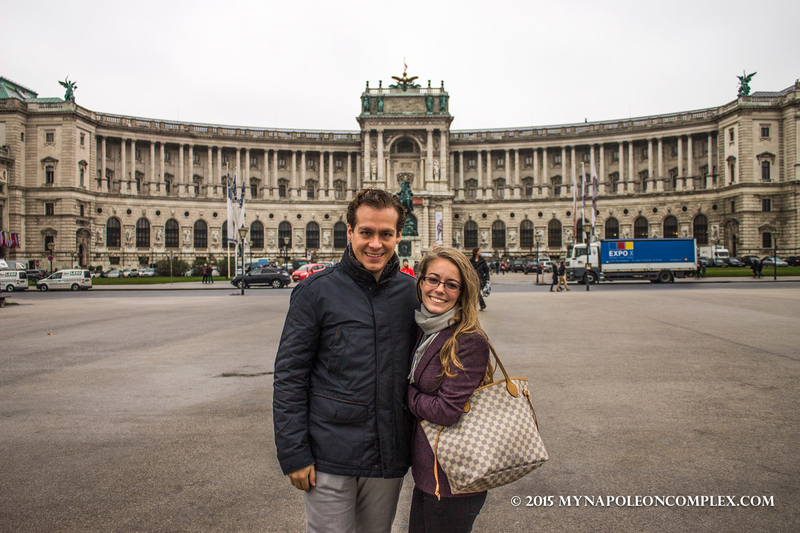 Stay tuned for the rest of the things we did in our weekend in Vienna! Blogger at My Napoleon Complex, wife, husky mom, and American Expat living in Rome, Italy. Latest posts from Beatriz B. Los Patios de Córdoba, a must-see festival in Andalusia! What not to miss in Córdoba! I would have been right there with you and visiting both palaces. Can you ever visit enough palaces and castles? Nah! And the pictures with the autumn leaves are so, so pretty. Love the new format you’ve chosen for your blog too. Loving the new look and fun colors! One of our friends says Vienna is his favorite city in the whole world… and now I can see why! 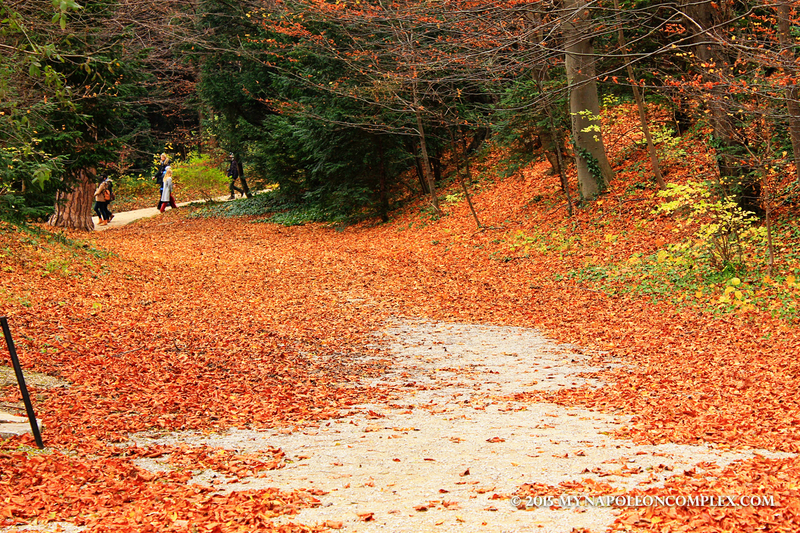 Beautiful… love all the fall colors and falling leaves! Can’t wait to read Part 2!